Many people struggle with the decision to become an organ donor. It’s an important decision that can affect your family and friends at a very difficult time—and that’s why it’s vital to be prepared if the time comes when you don’t expect it. Let’s take a few moments to dispel some of the roadblocks that get in the way of becoming an organ donor. Anyone can sign up to become an organ donor. It doesn’t matter how old you are or what your medical history is. You are never too old to donate. Many people shy away from organ donation for ethical reasons. These people think that organ donation will interfere with religious beliefs or traditions regarding the body and its sacredness. But the truth is, most major religions support organ donation. They do this because organ donation is seen as an act of compassion, love, and generosity towards others. It is the ultimate gift. How Much Does it Cost to Become an Organ Donor? Some people mistakenly think that their families will be charged a fee for organ or tissue donation. This is not true. 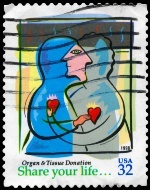 Organ donation is a gift and is received in kind. How Complicated is Becoming an Organ Donor? It’s easy to sign up to become an organ donor. All you have to do is sign up in your state’s donor registry. Simply enter your name, your address, your ethnicity, and your age and then check the appropriate boxes for organ donation. You can choose to donate any needed organs or tissues or you can specify limitations. You can finish registering by deciding whether or not you want to give consent for any organs or tissues to be placed for medical research or educational purposes. You can also check off your intention to be an organ donor on your driver’s license. You may want to tell your family, friends, doctor, or spiritual leader about your decision to be an organ donor. Making the decision to become an organ donor shouldn’t be taken lightly. But if you’re comfortable with organ donation, then you can save someone’s life when the time comes. Check out your government’s organ donation website and read the testimonies of people who are recipients and have been given a second chance at life.